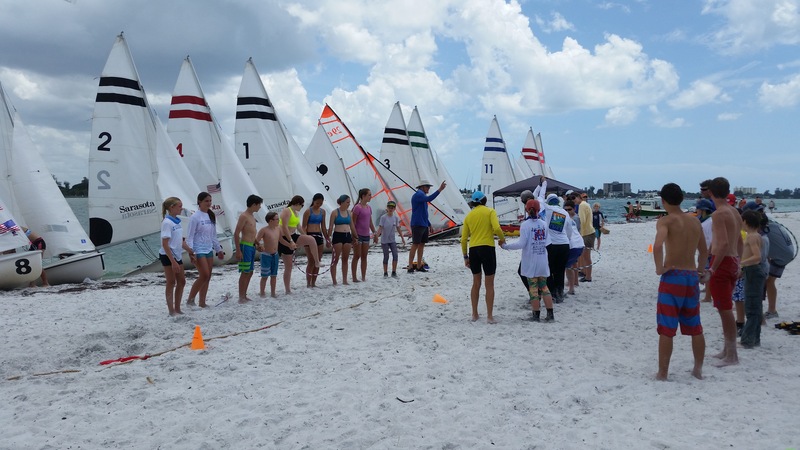 The Luffing Lassies sponsor an annual Memorial Day Family Day and Race that is open to all members of the Sarasota Sailing Squadron as well as the general public. The women of the Luffing Lassies do all the organizing and most of the volunteering to make this one of the year’s most anticipated and fun events. The Race Around Lido is a race in name only. 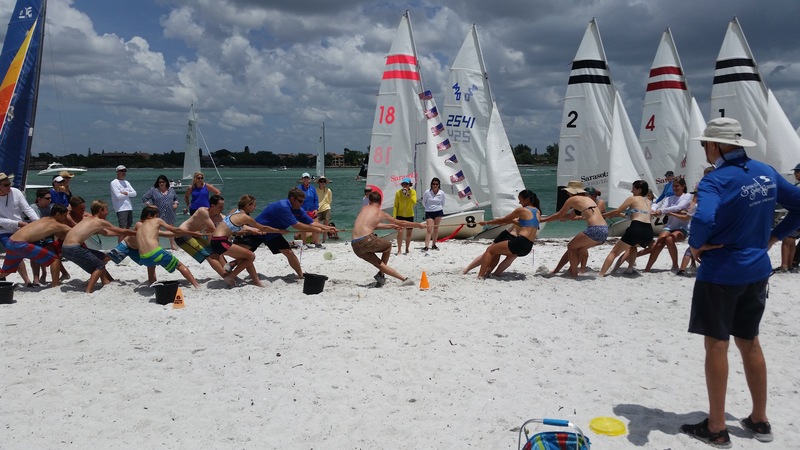 It is more about sailing from one venue to another, participating in shore games, eating good food and winning silly awards. 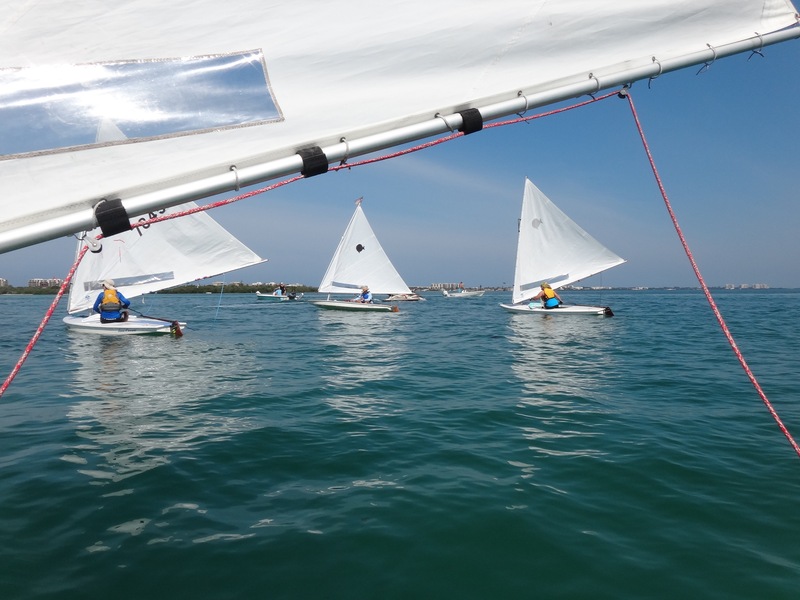 The race includes many kinds of non-motorized water craft – sailboats of all sizes, kayaks, canoes, paddle boards, etc. Below is a general description of the event. If you’re looking for something fun to do this Memorial Day, please come to the Squadron and join in the fun! Competitors may enter by delivering a completed Registration Form to the SSS and paying the entry fee per boat plus crew. All sailors must register to participate. Each skipper and registered crew will receive a free meal ticket/wrist band. 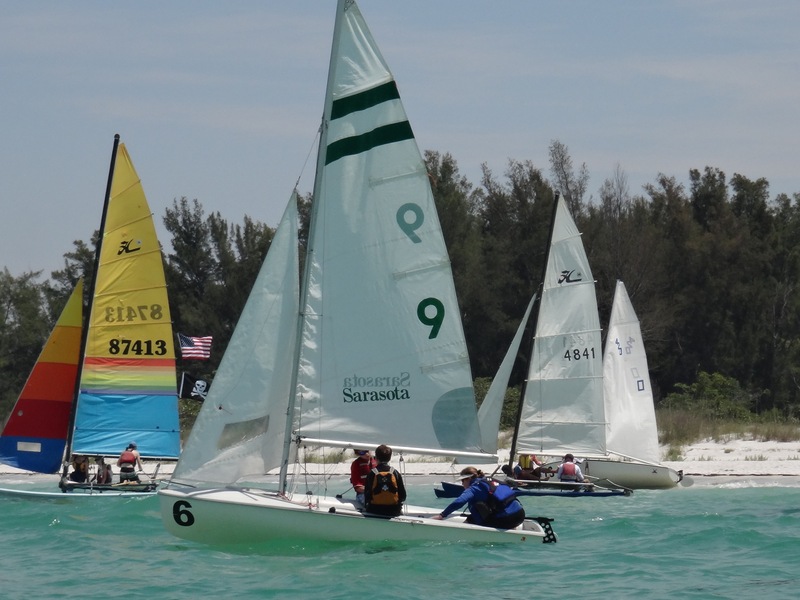 All Sailboat classes, Kayaks, Paddle Boards, Windsurfers are eligible to participate. The racing area is from the SSS to Lido Key. There are three courses to choose from as indicated below or modified and announced at the Skippers Meeting and/or Posted on the Official Notice Board. Recommended for Big Boats, Catamarans, Crewed Boats, and others that are up for the adventure. Recommended for Opti’s and other small sailboats. Recommended for Kayaks and Stand Up Paddleboards. Prizes are awarded and are based upon a number of Fun Categories such as Youngest Sailor, Senior Sailor, Most Unusual Boat, Boat Theme, Outstanding Sailing Attire, etc. Be creative! Prizes will be awarded at the awards ceremony after the Race. A hearty meal is served at the SSS immediately after the Race. There are also on-shore activities & games that take place at the SSS including an inflatable water slide. Additional meals can be purchased for adults and for children (age 12 and under). Save some room for dessert because the Build-a-Sundae dessert table is very popular. 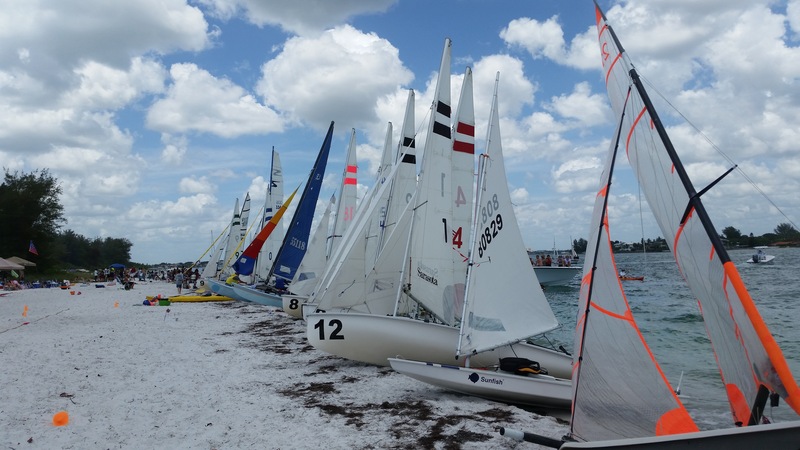 Proceeds from the event are used to support the Sarasota Sailing Squadron’s women’s sailing organization, the Luffing Lassies.